This is a unique and original work. 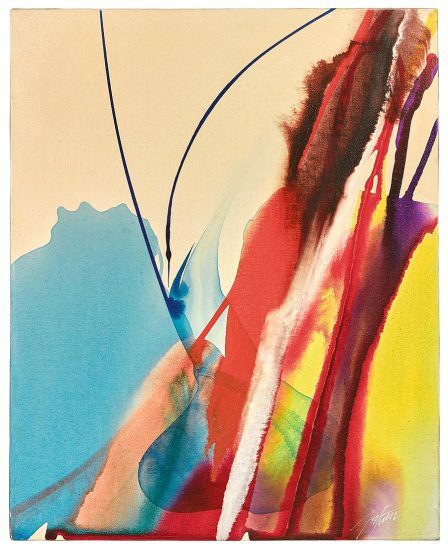 This work is hand signed by Paul Jenkins (Kansas City 1923 – New York 2012) in ink in the middle right. 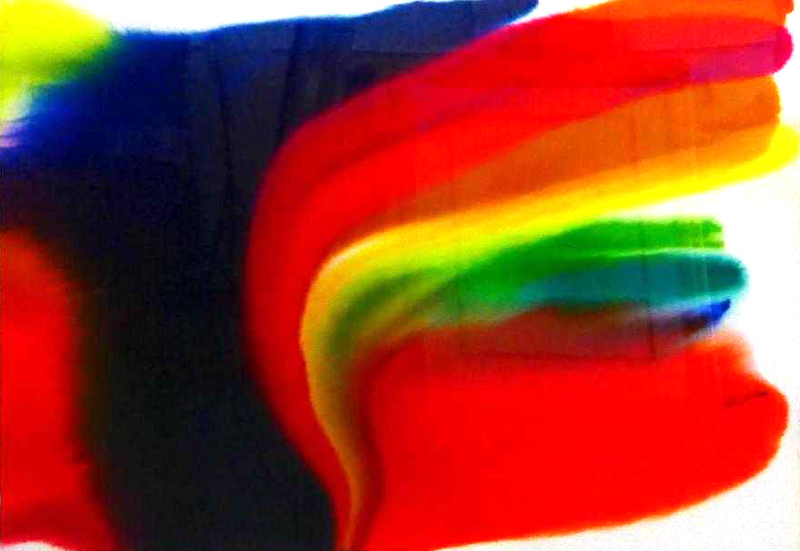 Paul Jenkins Untitled, 1983 features a bold and striking image, created in a vibrant polychromatic palette, that flows across the pictorial plane. 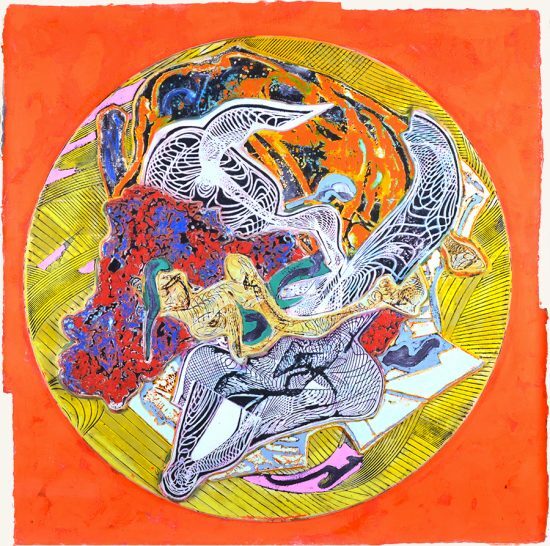 Using his signature method of guiding rather than brushing on the pigment, Jenkins allows the paint and the surface of the paper itself to affect the resulting image. Saturated bands of color flow and blend together in a natural, organic way in varying shades of transparency. The somber dark navy blue placed next to a splendid array of red, yellow and green hues establishes a dialogue between brilliance and obscurity and emphasizes the radiance of the color bands. 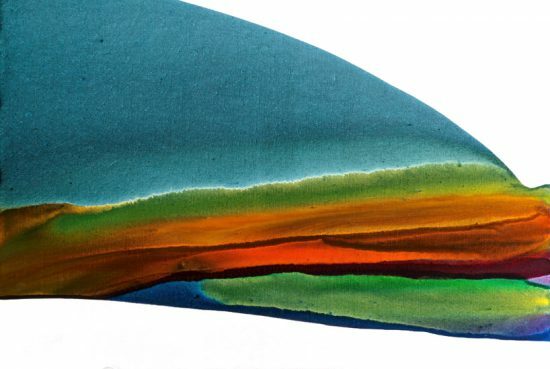 Hints of yellow and red on the left edge gracefully balance the dark blue and show Jenkins’ skillful ability to converge and isolate colors simultaneously. 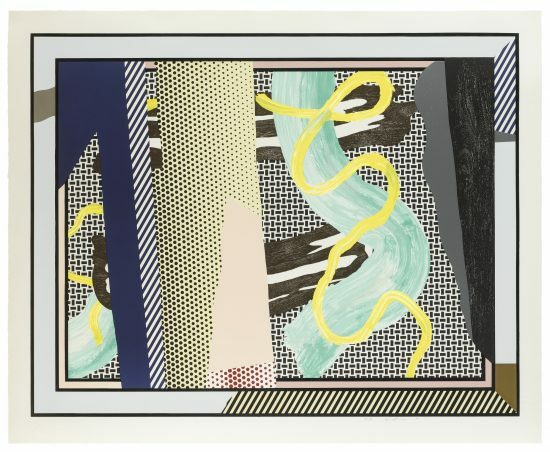 The psychedelic curves of paint pop out amid windows of white on the upper and right portions of the work creating an abrupt contrast between light, space and color. This phenomenon, aptly described by the title, Untitled, evidences the masterful use of color and method that established Jenkins as an influential painter during the reign of abstract expressionism. 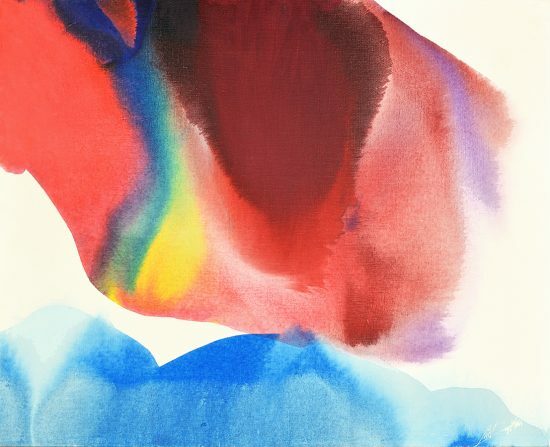 Created in 1983 this watercolor on Arches paper is hand signed by Paul Jenkins (Kansas City 1923 – New York 2012) in ink in the middle right. This is a unique and original work. 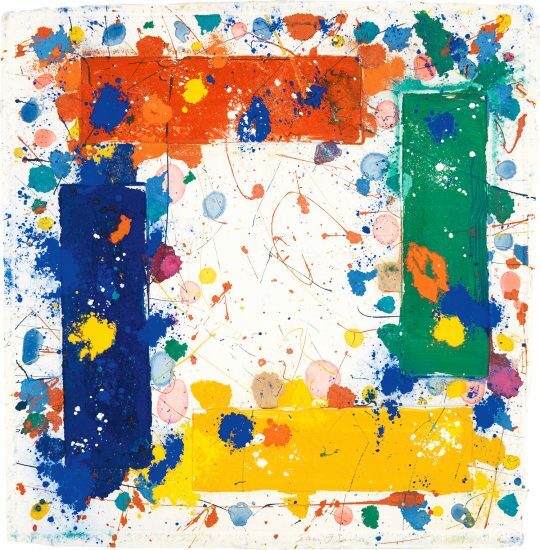 Paul Jenkins Untitled, 1983 is fully documented and referenced in the below catalogue raisonnés and texts (copies will be enclosed as added documentation with the invoices that will accompany the sale of the work). Framed to museum-grade, conservation standards Paul Jenkins Untitled, 1983 presented in a complementary moulding and finished with silk-wrapped mats and optical grade Plexiglas. A prominent figure in American Abstraction, Paul Jenkins secured himself as a lasting name in the fine art world through his stunningly nonfigurative works, whether in his poured oils on canvas or his delicate yet pungent color prints. 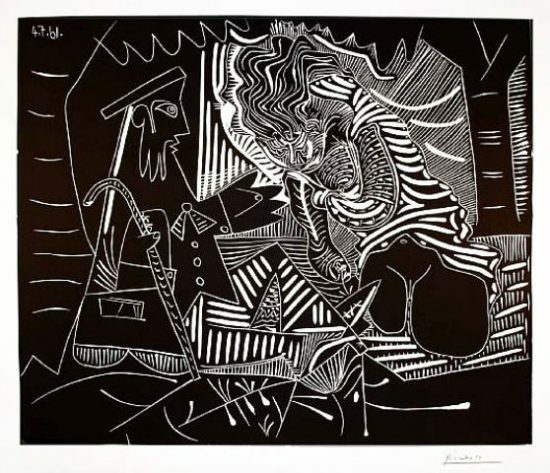 While his works lack in representation, an experimental spirit and his embrace of chance, what he called 'Phenomena', carried throughout any medium he touched, providing for brilliant creations that transcend the notion of painting as well as graphic conventions. 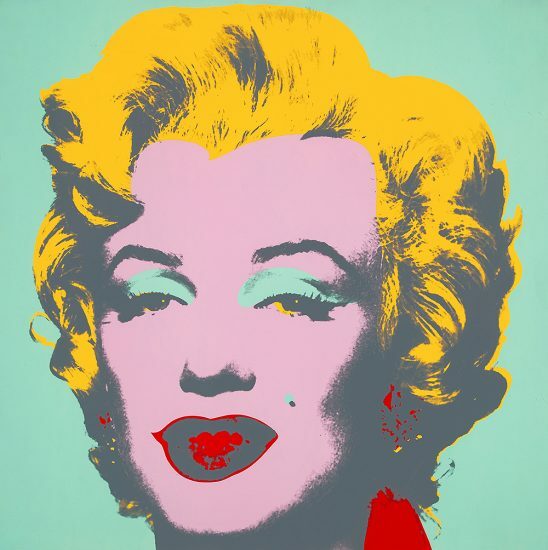 Sell your Paul Jenkins fine art with us. We offer free evaluations.